The risk for type 2 diabetes (T2D) in Pakistani immigrants is high. The aim of this study was to provide an update of the risk of T2D and the metabolic syndrome (MetS) in female Pakistani immigrants living in Oslo, Norway. 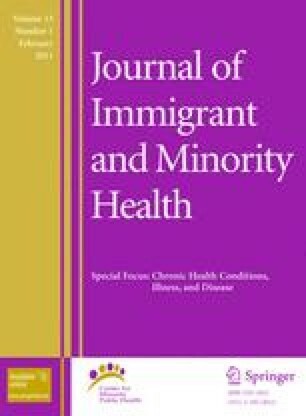 Female Pakistani immigrants (n = 198, age 25–63) were interviewed, and data related to T2D, including anthropometric measurements, blood data, heart rate, and level of physical activity, were determined. Ninety-eight pecentage had body mass index (BMI > 23 kg m−2) and 39% were obese (BMI ≥ 30). Impaired glucose tolerance (IGT) was found in 37%, MetS in 41%, and T2D in 13%, using fasting glucose. By score evaluation, approximately 90% had risk of T2D. The participants had low energy expenditure, despite acceptable number of steps walked during a day. The risk of T2D is very high in female Pakistani immigrants in Oslo.